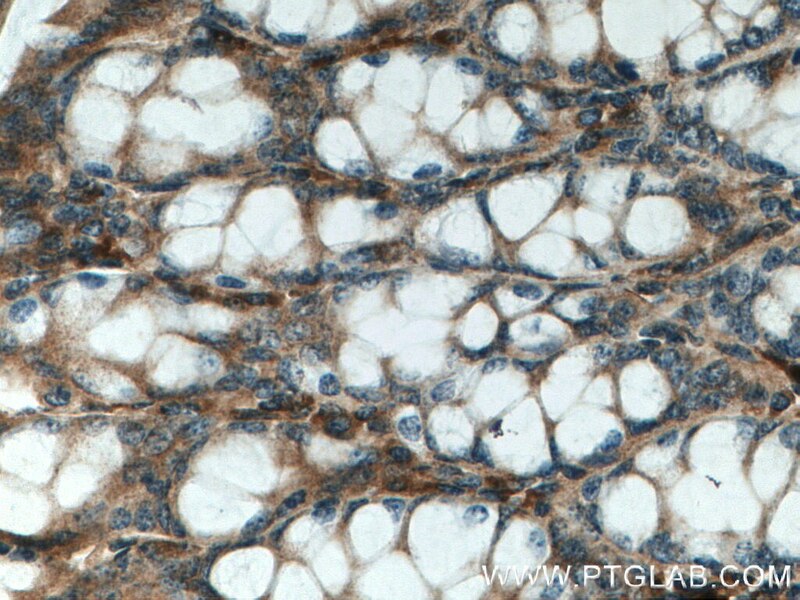 Immunohistochemical analysis of paraffin-embedded mouse colon tissue slide using 22586-1-AP (TFAM antibody) at dilution of 1:200 (under 40x lens) heat mediated antigen retrieved with Tris-EDTA buffer(pH9). 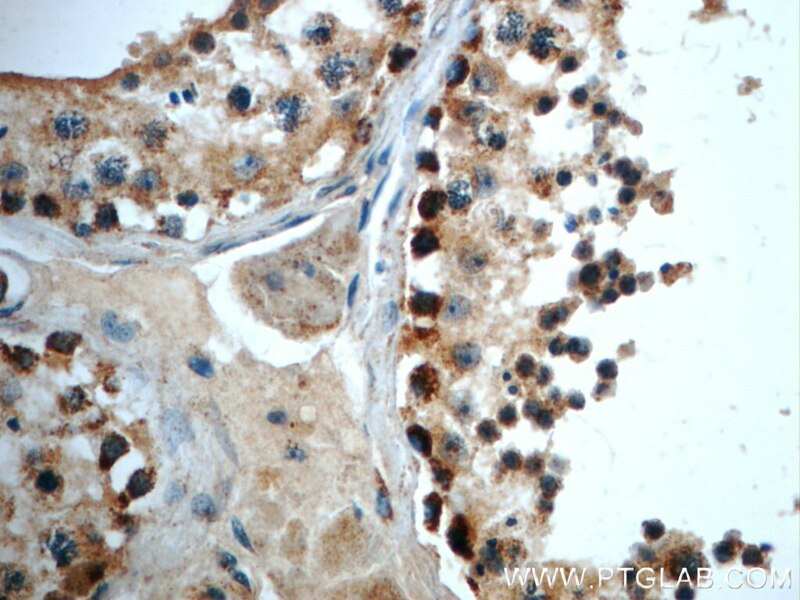 IP Result of anti-TFAM (IP:22586-1-AP, 4ug; Detection:22586-1-AP 1:800) with HEK-293 cells lysate 3200ug. 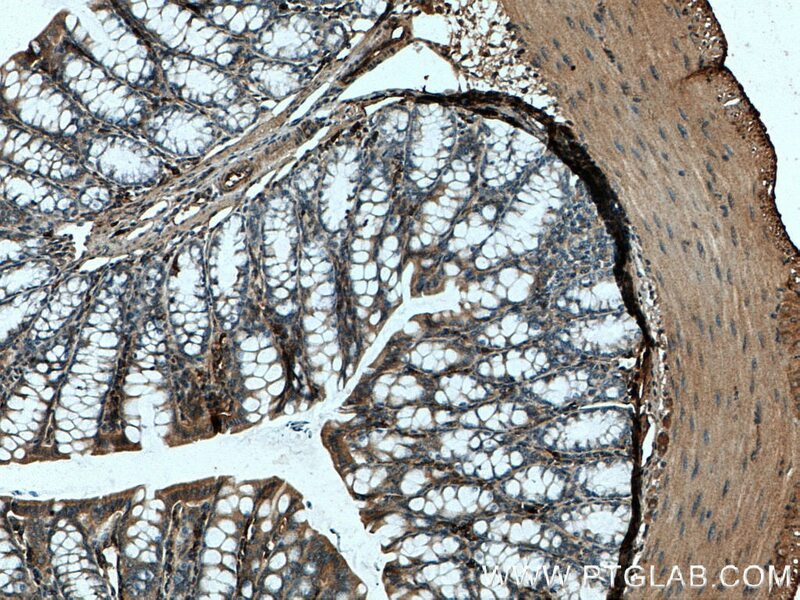 TFAM, also named as TCF6L2, MtTF1, TCF6, TCF6L1, TCF6L3 and mtTFA, is a mitochondrial transcription factor that is a key activator of mitochondrial transcription as well as a participant in mitochondrial genome replication. It is involved in mitochondrial transcription regulation. 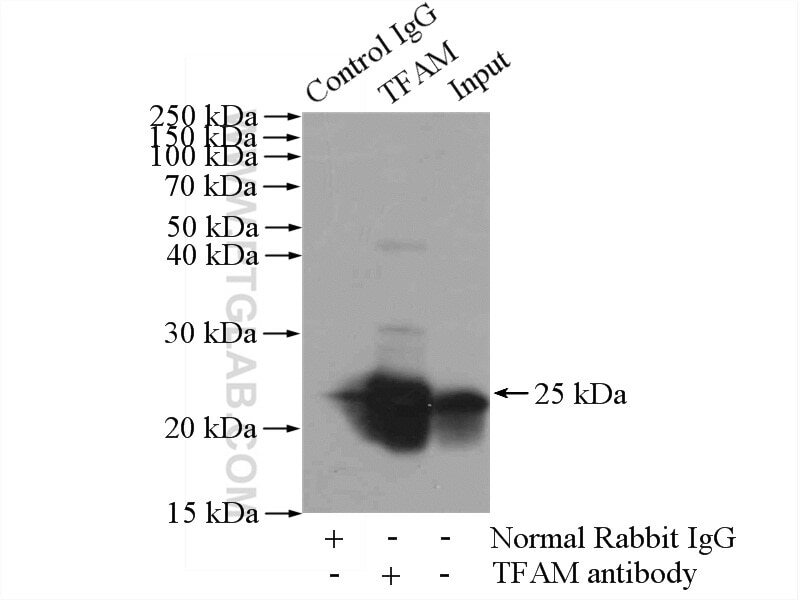 TFAM is required for accurate and efficient promoter recognition by the mitochondrial RNA polymerase. It activates transcription by binding immediately upstream of transcriptional start sites. TFAM is able to unwind and bend DNA. 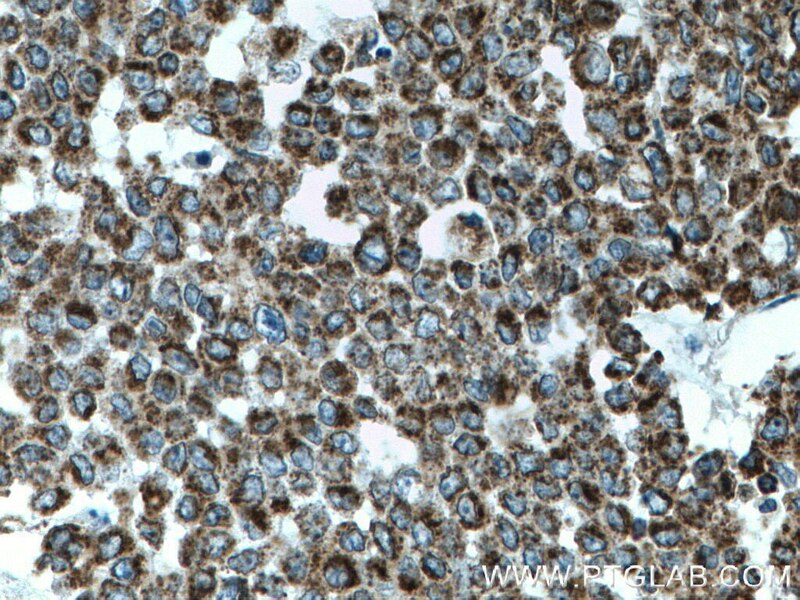 Immunohistochemical analysis of paraffin-embedded human colon cancer tissue slide using 22586-1-AP (TFAM antibody) at dilution of 1:200 (under 10x lens) heat mediated antigen retrieved with Tris-EDTA buffer(pH9). 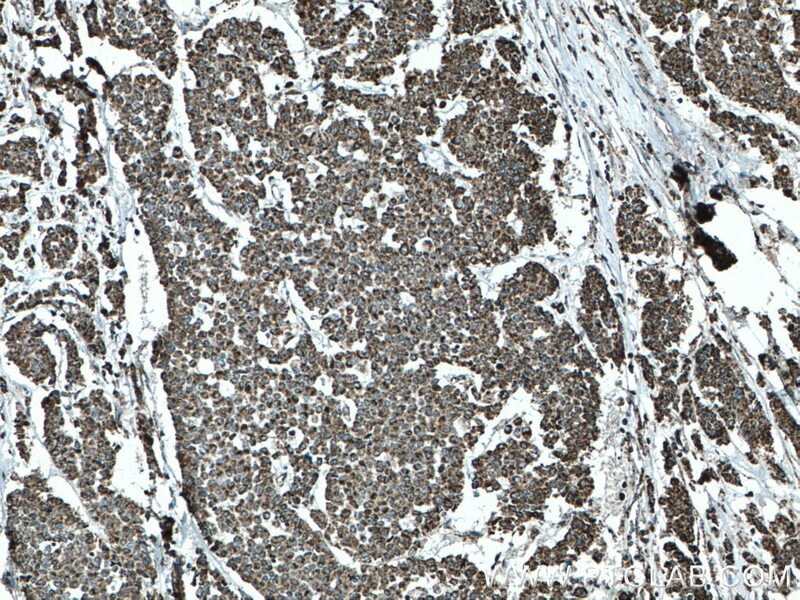 Immunohistochemical analysis of paraffin-embedded human colon cancer tissue slide using 22586-1-AP (TFAM antibody) at dilution of 1:200 (under 40x lens) heat mediated antigen retrieved with Tris-EDTA buffer(pH9). 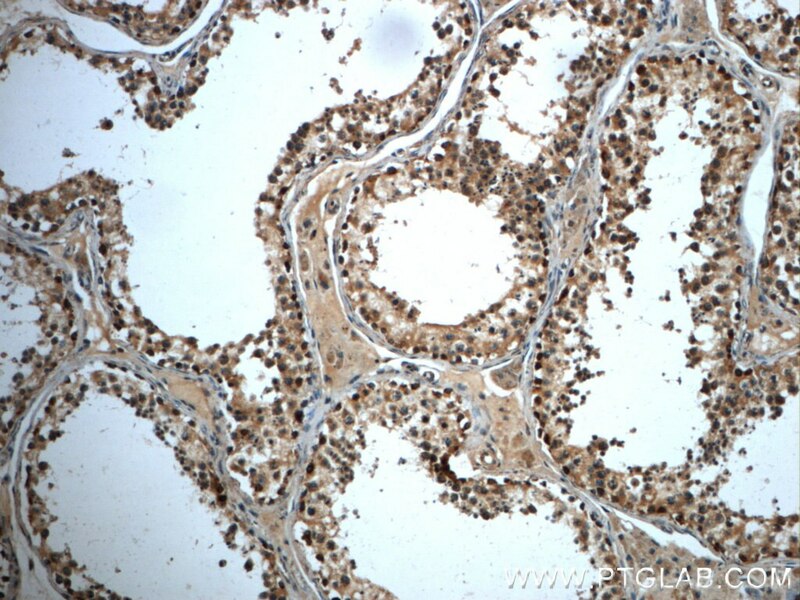 Immunohistochemical analysis of paraffin-embedded mouse colon tissue slide using 22586-1-AP (TFAM antibody) at dilution of 1:200 (under 10x lens) heat mediated antigen retrieved with Tris-EDTA buffer(pH9).